Homeowners with a small kitchen know how challenging it can be to make these spaces work. However, with smart planning, you can make your kitchen equally spacious and aesthetically pleasing. 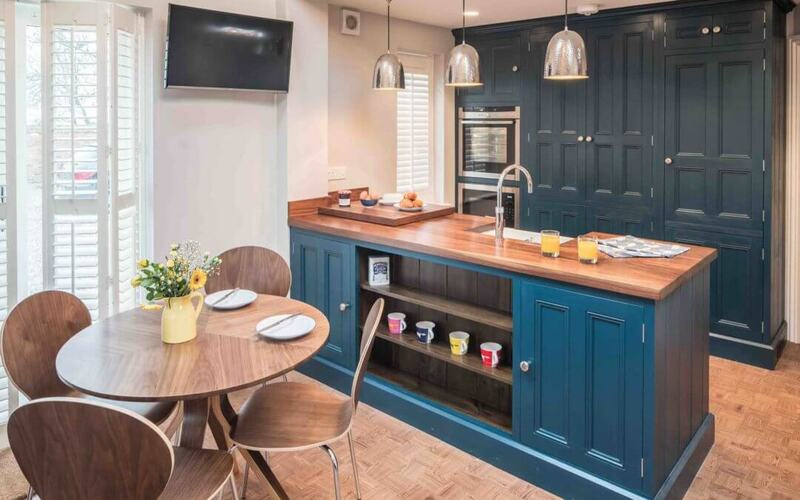 Here, we have compiled some tips on how you can make the most out of your tiny kitchen space. Because of their confined nature, U-shape and L-shape kitchen designs sometimes lose their functionality and space. To make use of the difficult corner spaces, you can install corner cabinets. You may put some of the small appliances that you rarely use here. Splashbacks are a functional part of modern kitchen design. It can protect your walls from spillage during meal preparation. Aside from this, it can also serve as storage. By adding a magnetic strip or a hanging bar on your backsplash, it can hold your utensils, knives and cookware. Consider wire ware to utilise your cabinets and drawers more efficiently. This can maximise your storage space by allowing you to organise your kitchen items. It can also give you easy access to your hidden cookware and foodstuff from your cabinets and pantries. Purchase a foldable stainless steel dish-drying rack. This can eliminate clutter and save you valuable counter space as you can just put it in a drawer after use. Putting your rubbish bins inside one of your cabinets can reduce the amount of clutter around your kitchen. You could integrate one or two bins in one of your pull-out drawers. This placement allows you to easily access your waste bin whilst you are preparing meals. Hill Farm Furniture offers beautiful bespoke luxury kitchens and furniture to suit your home and lifestyle. We keep our clients at the forefront of our service from initial consultation to the completion of the project. For more details, call us on 01636 626 063 or email us at enquiries@hillfarmfurniture.co.uk.